For more than fifty years, legendary author Herman Wouk has dreamed of writing a novel about the life of Moses. Finally, at age ninety-seven, he has found an ingeniously witty way to tell the tale in The Lawgiver, a romantic and suspenseful epistolary novel about a group of people trying to make a movie about Moses in the present day. The story emerges from letters, memos, e-mails, journals, news articles, recorded talk, Skype transcripts, and text messages. At the center of The Lawgiver is Margo Solovei, a brilliant young writer-director who has rejected her rabbinical father’s strict Jewish upbringing to pursue a career in the arts. When an Australian multibillionaire promises to finance a movie about Moses if the script meets certain standards, Margo does everything she can to land the job, including a reunion with her estranged first love, an influential lawyer with whom she still has unfinished business. Two other key characters in the novel are Herman Wouk himself and his wife of more than sixty years, Betty Sarah, who, almost against their will, find themselves entangled in the Moses movie when the Australian billionaire insists on Wouk’s stamp of approval. As Wouk and his characters contend with Moses and marriage, and the force of tradition, rebellion, and reunion, The Lawgiver reflects the wisdom of a lifetime. Inspired by the great nineteenth-century novelists, one of America’s most beloved twentieth-century authors has now written a remarkable twenty-first-century work of fiction. 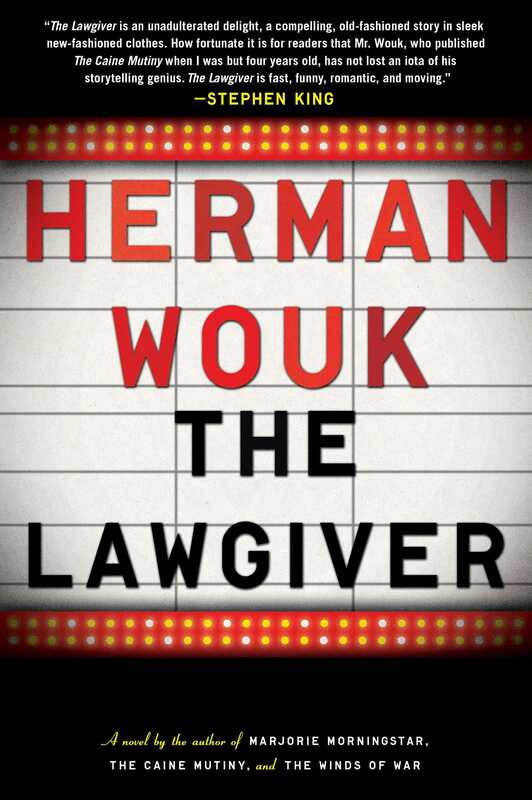 This reading group guide for The Lawgiver includes an introduction, discussion questions, ideas for enhancing your book club, and a Q&A with author Herman Wouk. The suggested questions are intended to help your reading group find new and interesting angles and topics for your discussion. We hope that these ideas will enrich your conversation and increase your enjoyment of the book. Young Margo Solovei is brilliant and talented, but a relatively unknown writer-director in Hollywood. She is also a secular iconoclast, despite having internalized the lessons of her rabbi father during her strict Jewish upbringing in Passaic, New Jersey. When Louis Gluck, an eccentric Australian multi-billionaire, promises to finance a movie about Moses if the script meets exacting standards, Margo surprises herself and the rest of the movie industry by landing the job. In order to move forward with the ambitious project, Margo must convince a legendary author and his guarded literary agent that her screenplay truly captures the spirit of Moses. In The Lawgiver, Herman Wouk has created a work of divine metafiction—incorporating both himself and his real-life wife/agent, Betty Sarah Wouk, into the thick of the plot. When Margo resumes a relationship with her estranged first love, Joshua Lewin, an influential lawyer with whom she still has unfinished business, she finds herself propelled into an epic story even she could never have dreamed up. 1. In the opening pages of The Lawgiver, “HW” exchanges interoffice memos with his agent, “BSW.” At what point did you realize that those initials stood for the author of the novel, Herman Wouk, and his real-life wife and literary agent, Betty Sarah Wouk? How did the author’s postmodern mingling of fiction and reality impact your appreciation and understanding of the novel’s plot? 2. “It was all very well for you to say when we broke up that you’d wait for me until you die but isn’t it getting a bit silly? You can have your pick of a thousand religious Jewish girls…” (pg. 19) Why does Joshua Lewin continue to carry the torch for Margo Solovei? How does the unrequited nature of their relationship evolve over the course of The Lawgiver? 3. Much of the narrative of The Lawgiver is conveyed through documents—letters, faxes, emails, memos, transcripts, Skype conversations, etc. How did you experience the epistolary format of the novel? Why does Herman Wouk choose for this novel, which so prominently features its author (or his fictional persona) as a character, an epistolary form that ostensibly removes the notion of a narrator? 4. How do the humorous narratives of Shirley and Avram Scharf’s marital dissolution and the Nullarbor Ponds patent dispute participate in the slowly unfolding drama of the creation of the script for The Lawgiver? To what extent did these subplots complicate and enrich the development of Margo and Josh’s circuitous romance? 5. Why does Margo reach out to Deborah Kamaiko, a fellow Bais Yaakov alumna, when her fiancé’s helicopter crashes over Afghanistan? To what extent might Margo have an ulterior motive in becoming Debbie’s friend? How does their connection change over the course of their correspondence? 6. How do some of the major players in the creation of The Lawgiver: Arnold Granit, Louis Gluck, Tim Warshaw, Hezzie Jacobs, Shayna Daniels—establish a picture of the movie industry? Of the many creative and financial dynamics at play, which were most intriguing to you and why? 7. “God told Moses and Aaron to assemble the people and get water out of a rock, same as he did in the desert forty years before…” Why is Margo’s “Rock II Sequence,” in which Aaron and Moses are forbidden by God from entering the Promised Land, so powerful to her listeners at the script conference? Why is this scene so significant to Margo? Why does the author, Herman Wouk, draw our attention to it? 8. How does Perry Pines, the little-known Australian bit-actor who ultimately assumes the celebrated role of Moses in The Lawgiver, defy stereotypes? How do his contractual entanglements with his erstwhile agent, Geoffrey Smallweed, confound Margo’s efforts to have him cast in the lead role of the film? To what extent do you think his career as a shepherd makes him even more of an ideal match for the part of Moses? 9. “So, Mashie, I’m losing you. God runs the world. One thing I can tell you. You leave me a bsulah (virgin), and you’ll return to me a bsulah.”(pg. 138) How would you characterize Margo’s relationship with her father, Moishe Solovei? What does her determination to write the screenplay about Moses suggest about Margo’s commitment to her former faith? Why does her father see her effort as an opportunity to end their long estrangement? How does Margo’s romantic liaison with Josh in Australia impact her relationship with her father? 10. Of the many family and business relationships explored in The Lawgiver, which did you find most compelling and why? 1. The Lawgiver is an epistolary novel, told largely through emails, letters, documents, and other written fragments. If you were to write about one day in your life using only the documents you and others have generated, what would it look like? You may want to save your grocery lists, emails, notes to self, phone messages, doodles, texts, journal entries, etc. to create your very own mini-epistolary work to share with members of your book group. How do the things we write down tell the stories of our lives? 2. According to his website, www.hermanwouk.net, Herman Wouk’s avocational interests include Judaic scholarship. How do the characters and setting of The Lawgiver contribute to a broader understanding of Jewish religious culture? Members of your book club may want to consider the novel’s focus on the retelling of the Moses story from the Bible, the love interest story involving Josh and Margo, and Margo’s rejection of Orthodox Judaism. What aspects of Jewish life were of special interest to you in The Lawgiver? 3. In the presence of Uluru/Ayers Rock in Australia, Margo Solovei and Joshua Lewin’s relationship takes a dramatic turn. Have members of your group ever encountered moments of personal transformation in unique or awesome natural settings? What role does this massive rock play in The Lawgiver? How does Uluru connect with the overarching plot of the novel—the complicated nature of writing a novel about the story of Moses, who has momentous encounters with rocks, himself? Questions 1 and 2. The origin of The Lawgiver is an intriguing one. What initially attracted you to a fictional treatment of the story of Moses in the Bible? And at what point in your composition of The Lawgiver did you realize that you would incorporate yourself as a character? My two grandfathers in the old country were a shammess (a synagogue sexton) and a rabbi. So Bible study was in my bloodstream. Throughout my American growing up – college years, gagman years, and Navy years in World War II – that study survived all the predictable conflicts. I know the Moses story well. It occurred to me long ago that it was a marvelous narrative and would make a great book. As I matured in the fiction art, however, I came to realize that the story had already been told with supreme narrative force in the Bible – the five books of Moses – and that any attempt at a "Moses novel," at least by me, could only be a puny twice-told tale. I set the notion aside in my mind and in my files as "the impossible novel," and so it remained down the decades. In the epilogue to The Lawgiver, I tell the reader how I nevertheless did write "the impossible novel." In the leisure of my middle nineties it bethought me to try a lighthearted book precisely about the impossibility of writing a Moses novel. With this quirky notion Mr. Gluck came rolling into my office, Margo wrote her chilly letter to poor Josh, and the Hollywood characters showed up. In such a structure, including myself and my wife/agent became inevitable, starting on page one. Question 3. On your website, you are described as “an unusually private person.” To what extent did your insertion of yourself into the book’s narrative violate that carefully guarded privacy? Not in the least. Down to the dog's name, Candy, the personal facts are true, but the story is a wild Hollywood adventure that never happened, and doesn't invade our privacy one bit. Question 4 and 5. The epistolary novel is often an underappreciated literary form; can you discuss your choice of it for the narrative of The Lawgiver? How did you experience the limitations and opportunities of writing a novel consisting almost entirely of documents and letters? How do some of the up-to-the-minute modes of communication—email, Skype, instant messaging, Twitter—lend themselves to epistolary narratives? How do they complicate it? Large questions! This old form, seldom used nowadays, in itself, was a challenge to heat up an old author's creative juices for a shot at a new tale. I found it unexpectedly tricky and tough. The voice of an omniscient author is always in total control of the narrative, one way or another. In a story only hinted at by several voices, the author has to change many masks in a hurry, like the old Chinese roadside storyteller. It makes for pace, but can really bewilder not only the reader but the juggling author. Many, many drafts went into this "Moses novel." The electronic modes added pace, but needed much care to keep them in character, not just dry bursts of words. Question 6. Of the many female characters you’ve created in your novels, how does Margolit Solovei stack up? Hard to say. In the writing, I fell in love with more than one. My publisher refers to Margo as "a 21st century Marjorie Morningstar," and in fact the foiled seducer yells, you may remember, as he throws her out of his Soho pad, "Good riddance, Marjorie Morningstar!" Marjorie is my undoubted favorite. Allow me to play no favorites among the others, I'd only get in trouble. Among the baddies, Frieda Winter probably leads. I have a soft spot for Lucille Glass in City Boy, at age eleven an exasperating elusive female in full. Question 7. 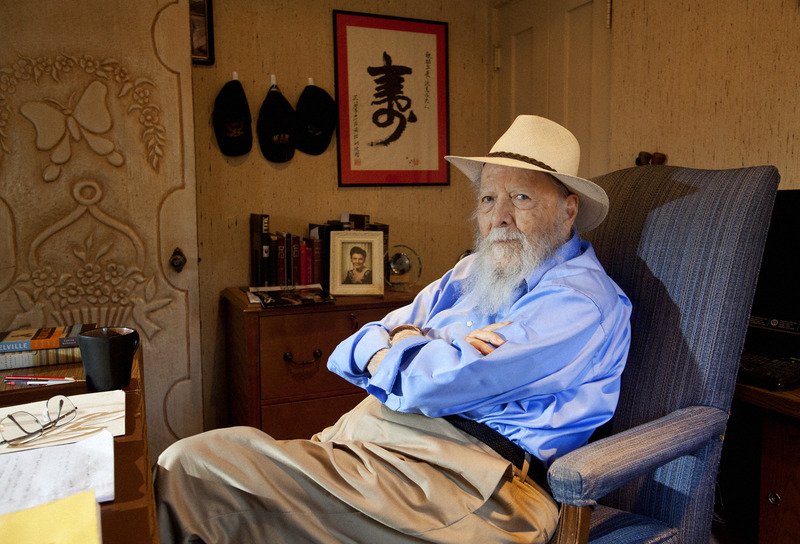 In 2011, Stephen King wrote a short story in The Atlantic entitled “Herman Wouk Is Still Alive.” Did you read it? How have you outlasted so many of your literary peers, both in terms of your longevity and artistic popularity? I read Mr. King's short story and enjoyed it. As for the longevity, I share his evident puzzlement, with boundless gratitude to my forebears and my Maker. It helps to have work I love, with much work yet to do by His grace. Herman Wouk is the author of such classics as The Caine Mutiny (1951), Marjorie Morningstar (1955), Youngblood Hawke (1961), Don’t Stop the Carnival (1965), The Winds of War (1971), War and Remembrance (1978), and Inside, Outside (1985). His later works include The Hope (1993), The Glory (1994), A Hole in Texas (2004) and The Lawgiver (2012). Among Mr. Wouk’s laurels are the 1952 Pulitzer Prize for Fiction for The Caine Mutiny; the cover of Time magazine for Marjorie Morningstar, the bestselling novel of that year; and the cultural phenomenon of The Winds of War and War and Remembrance, which he wrote over a fourteen-year period and which went on to become two of the most popular novels and TV miniseries events of the 1970s and 1980s. In 1998, he received the Guardian of Zion Award for support of Israel. In 2008, Mr. Wouk was honored with the first Library of Congress Lifetime Achievement for the Writing of Fiction. He lives in Palm Springs, California. "The Lawgiver is an unadulterated delight, a compelling, old-fashioned story in sleek new-fashioned clothes. How fortunate it is for readers that Mr. Wouk, who published The Caine Mutiny when I was but four years old, has not lost an iota of his storytelling genius. The Lawgiver is fast, funny, romantic, and moving." "An engaging comedy/love story about present-day Hollywood." "Mr. Wouk’s satirical (and accurate) depiction of Hollywood’s bizarre ins and outs is merciless." “…The Lawgiver is a combination of sweet romantic comedy and sly Hollywood satire, and it is as much fun to read as it seems to have been to write….Wouk excels in channeling distinctive voices."